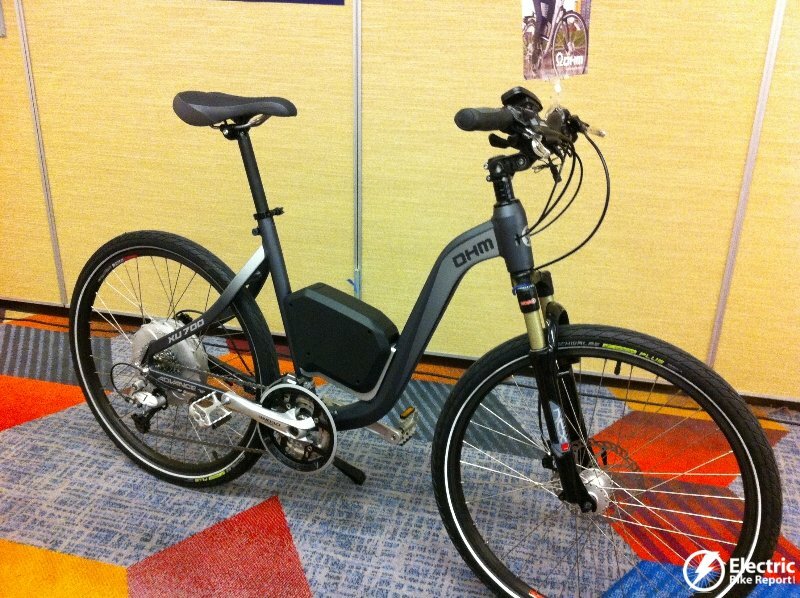 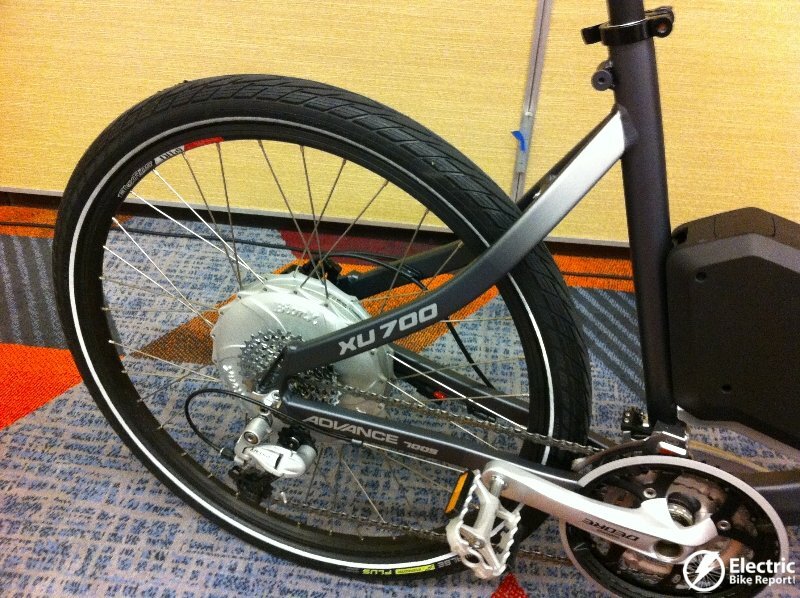 Ohm Electric Bikes had a their newly updated XU700 e-bike on display in a few places around the show. 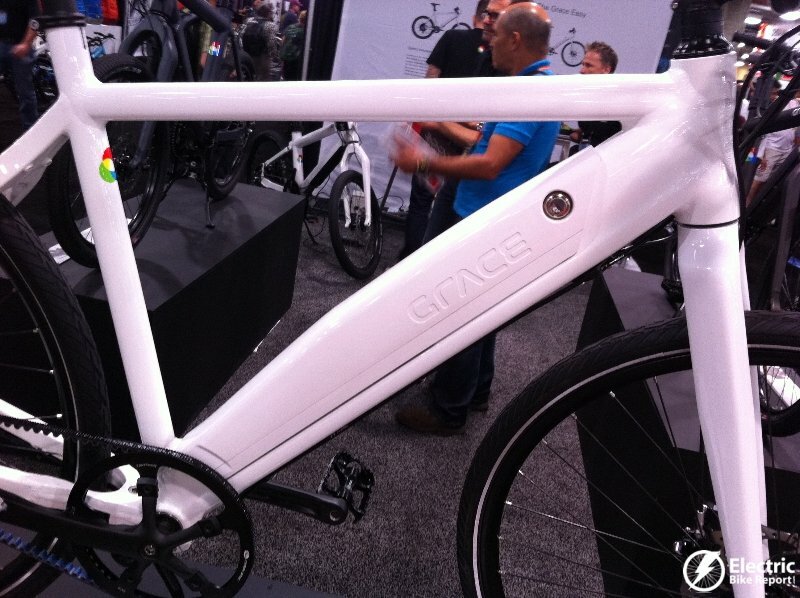 The new frame looks pretty cool with its hydro formed aluminum tubes. 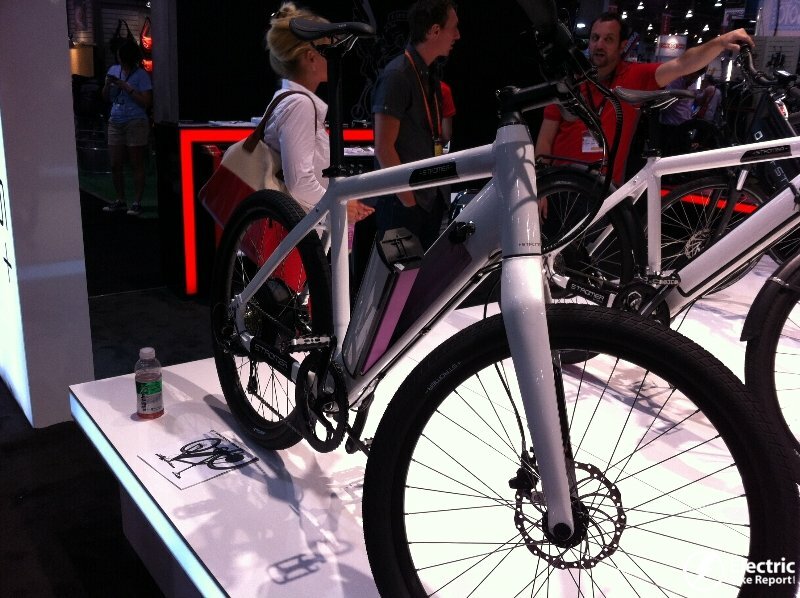 They have got a futuristic look going for this 2014 model! 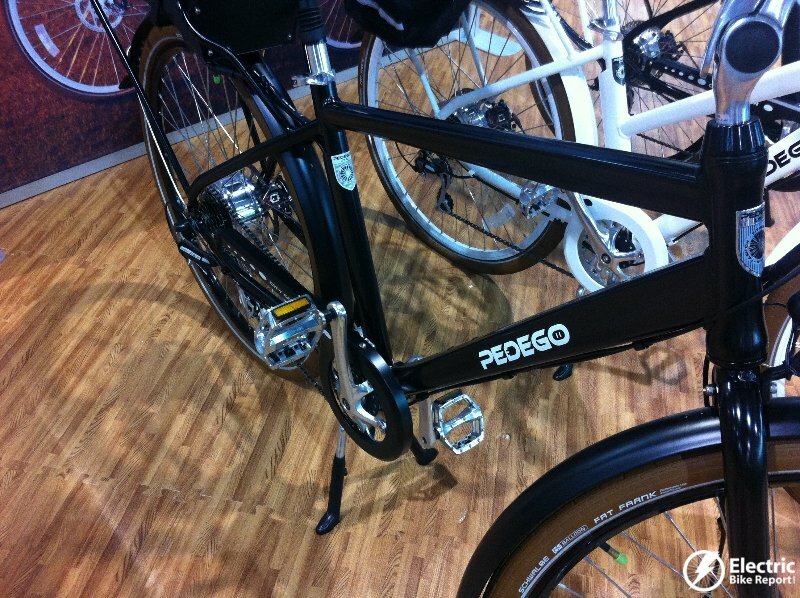 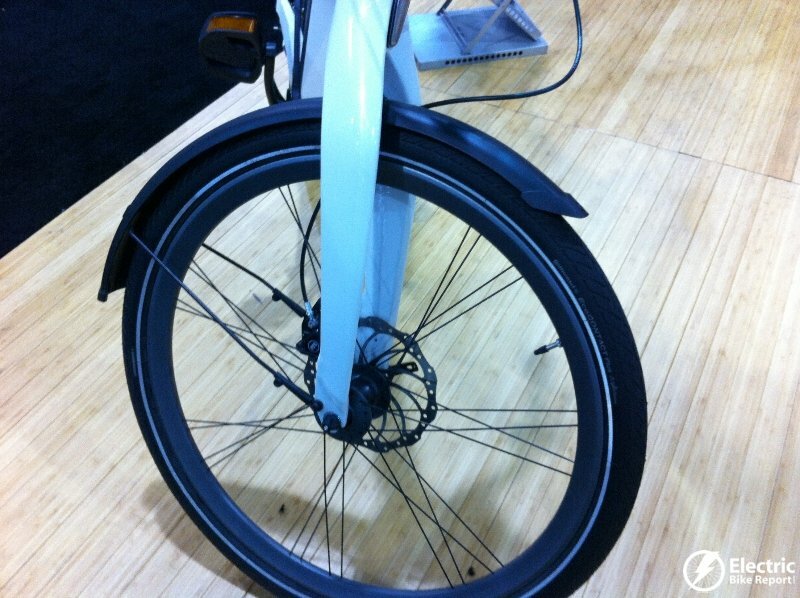 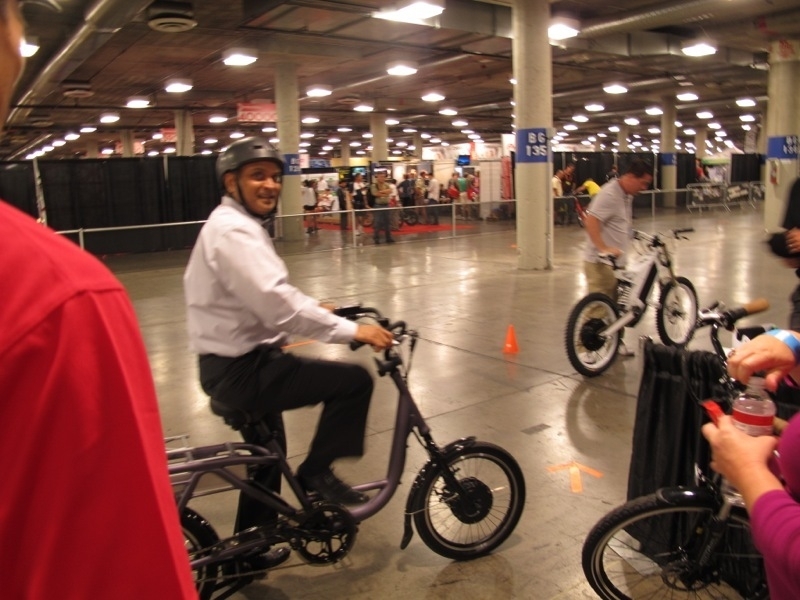 Pedego electric bikes came to Interbike with many new e-bikes! 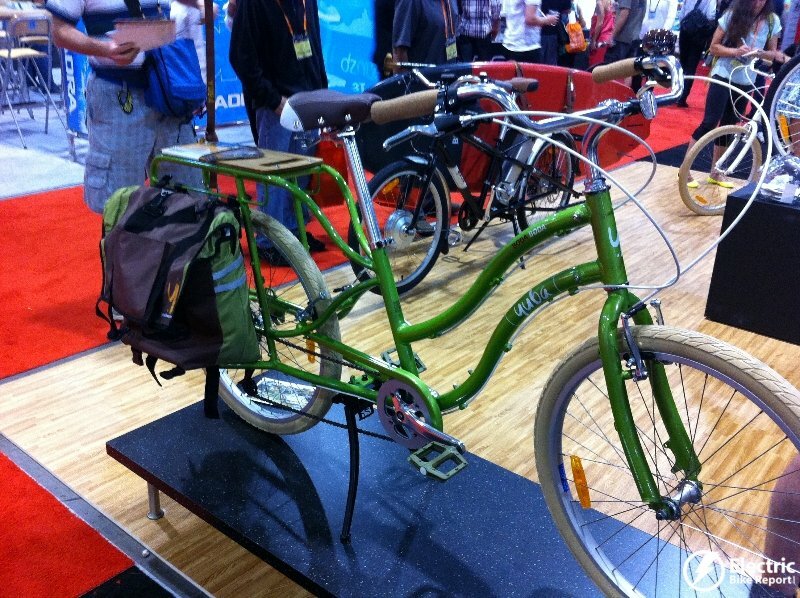 Their new City Commuter has been a very popular bike for them. 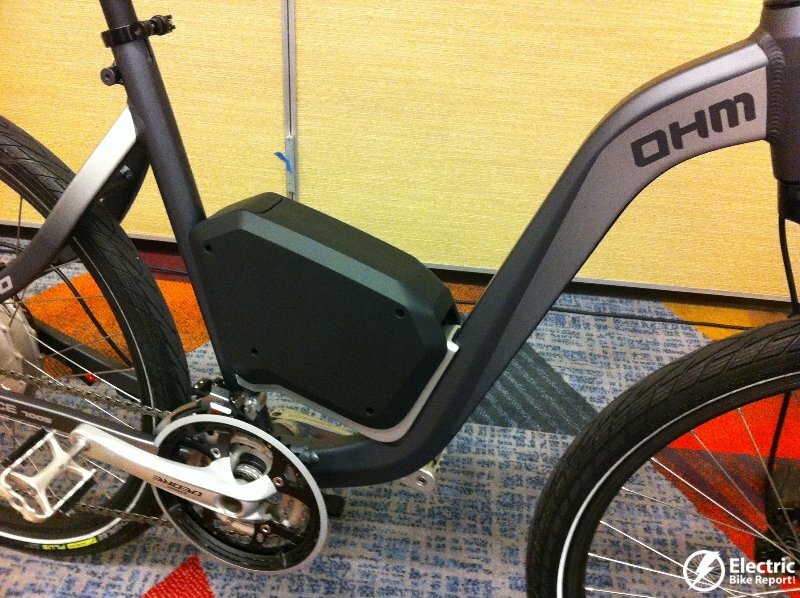 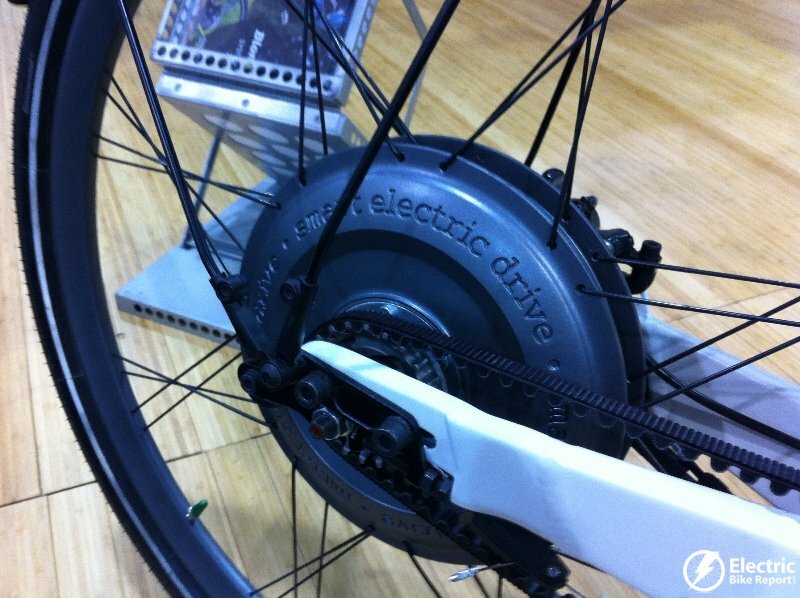 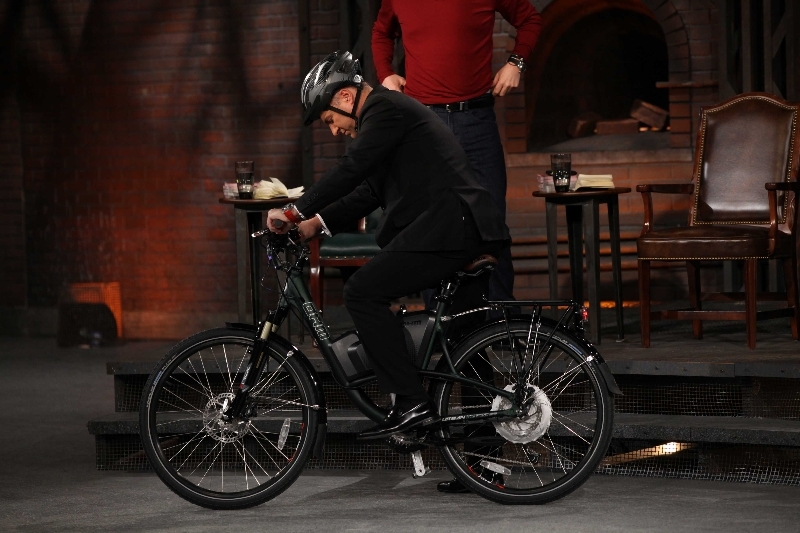 They also released the Destroyer e-bike (covered in Part 1) that has 4″ wide tires for all terrain riding. 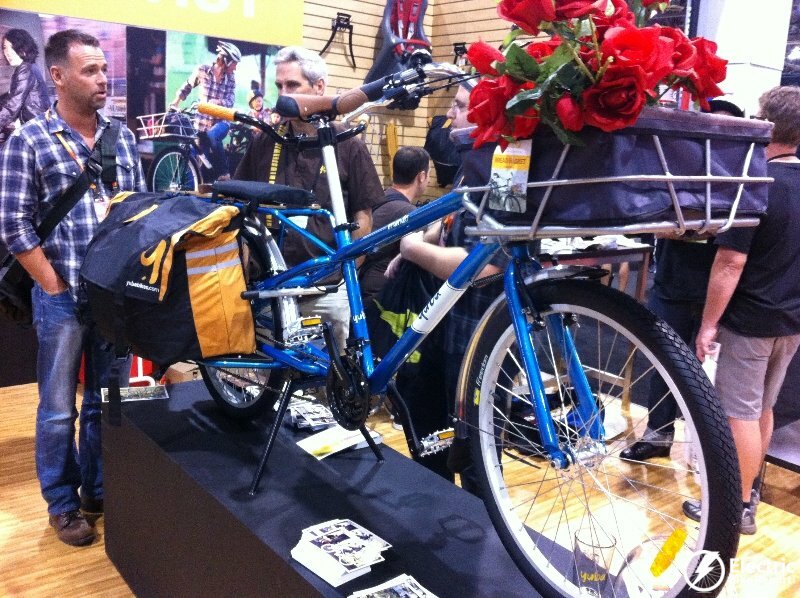 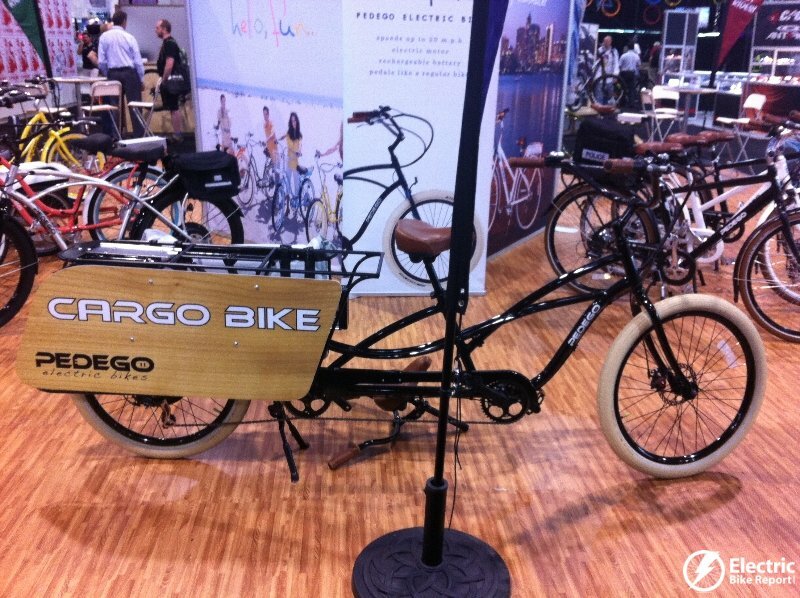 New this year is the Pedego electric cargo bike. 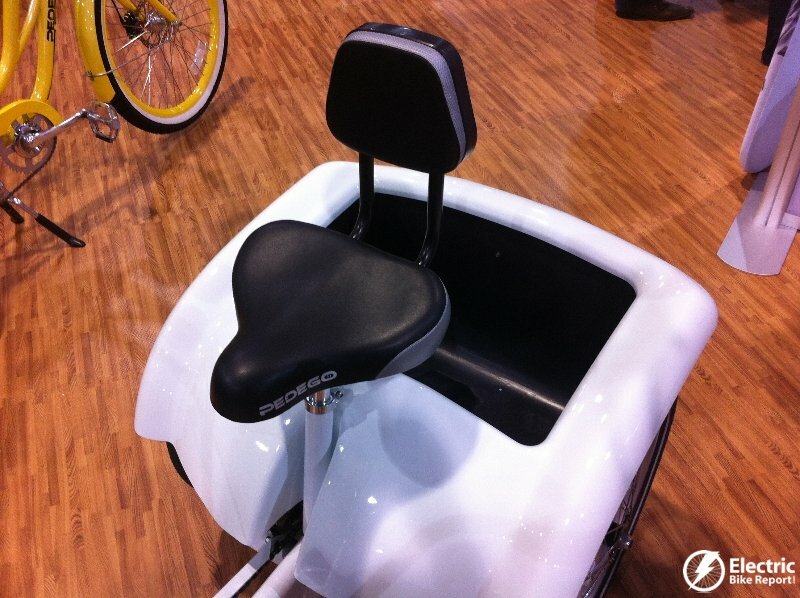 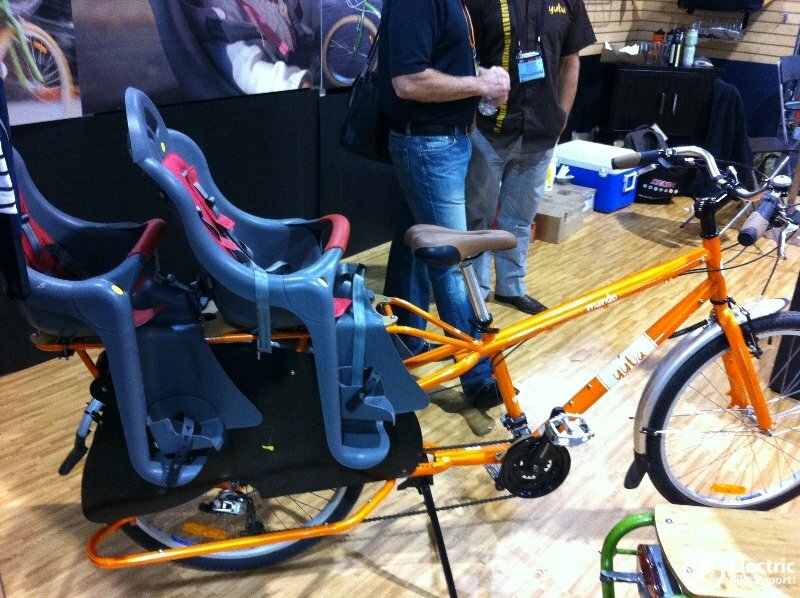 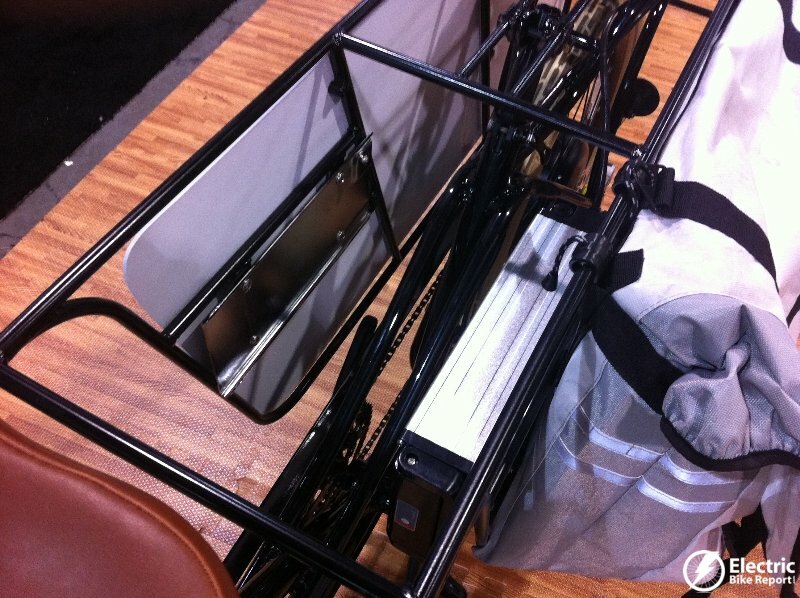 They have a cargo kit that attaches to the back of the Pedego electric tandem bike. 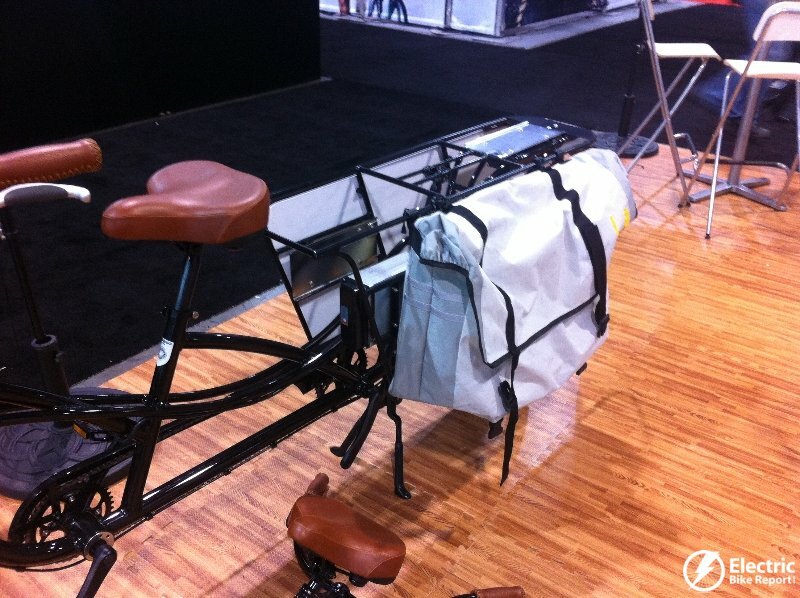 The rear seat on the tandem comes off and the cargo kit goes on. 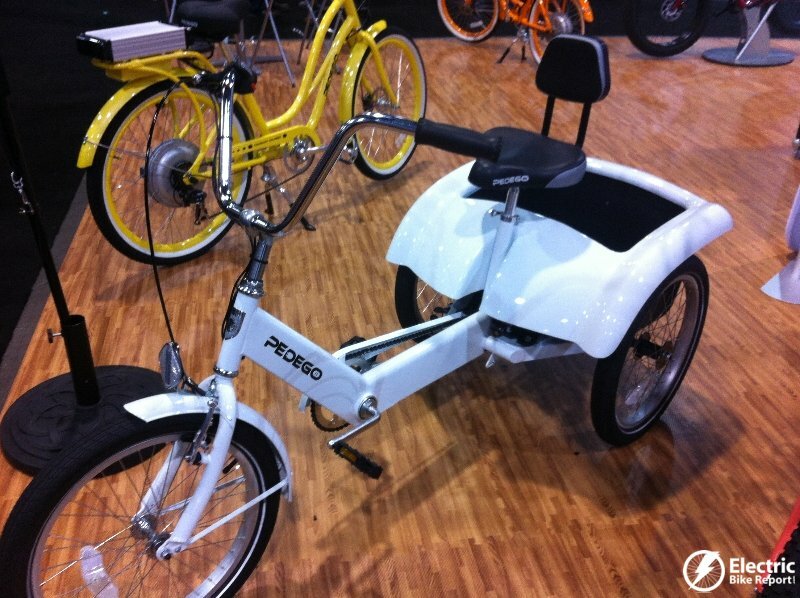 The Pedego electric trike was on display and they are close to making it available. 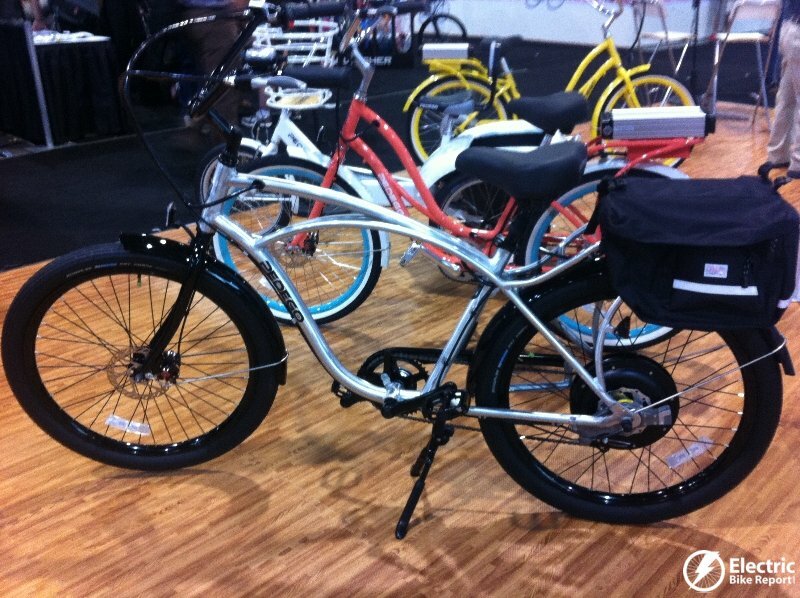 Pedego also displayed their new 24″ wheel beach cruiser style e-bike that is perfect for shorter riders. 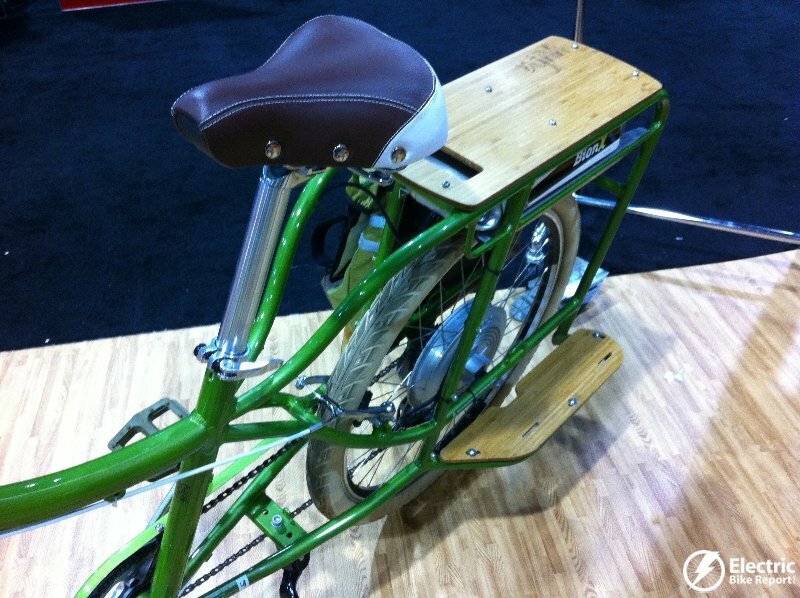 Yuba had a couple of their electric cargo bikes on display. 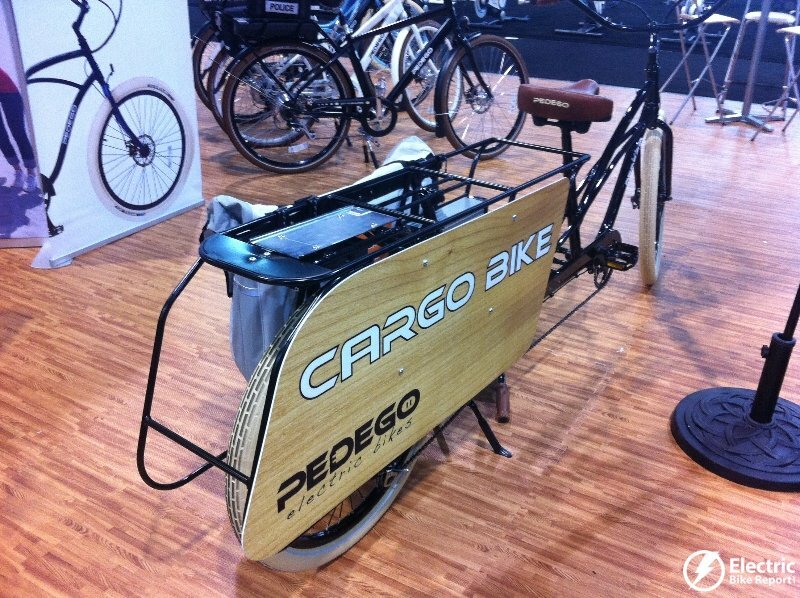 Their new Boda Boda is cargo bike that is somewhere between a traditional bike and their sturdy cargo hauling Mundo bike. 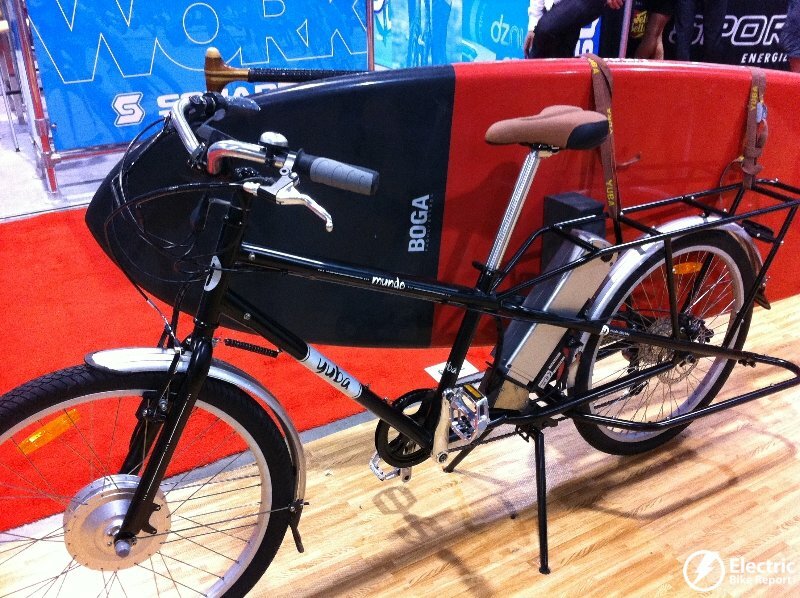 The Boda Boda looks like it will carry quite a bit of cargo but it will be nimble enough to maneuver in congested areas. 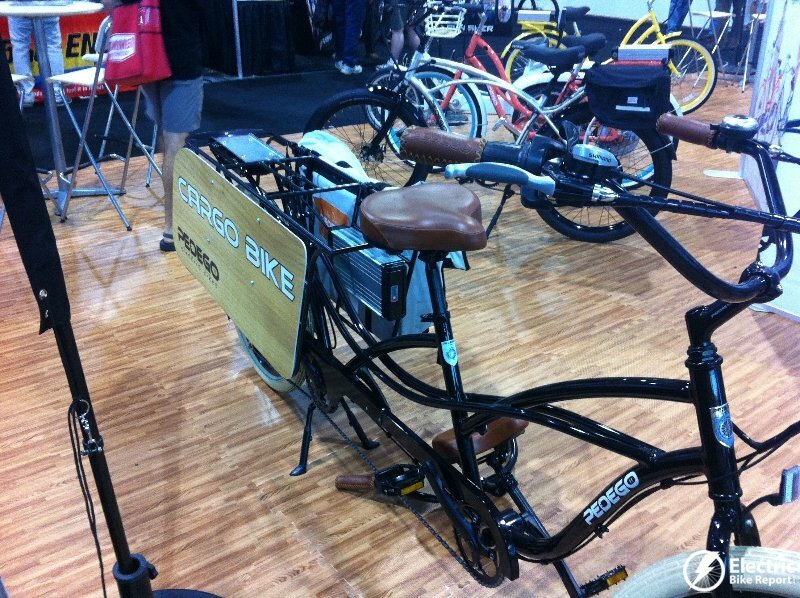 They had a Boda Boda set up with a Bionx kit and they had their Mundo set up with an eZee electric kit. 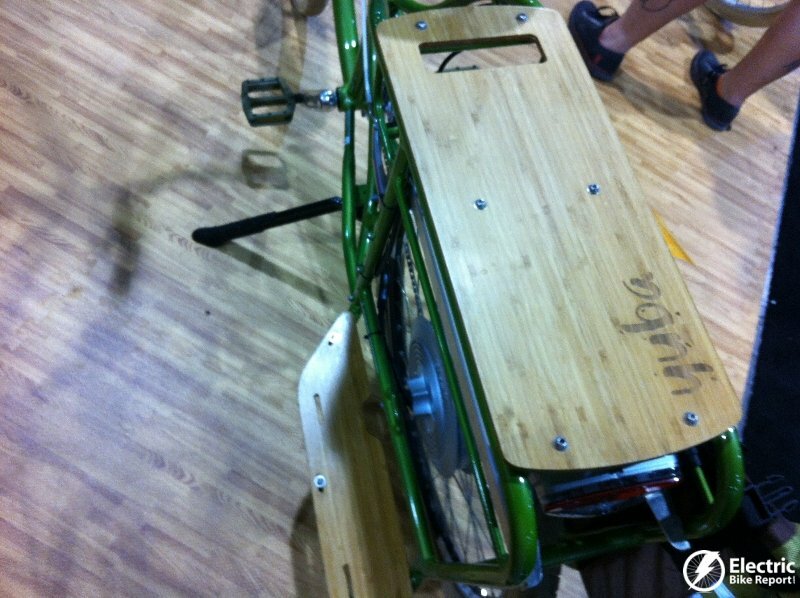 The Mundo was displayed with a surf board attached! 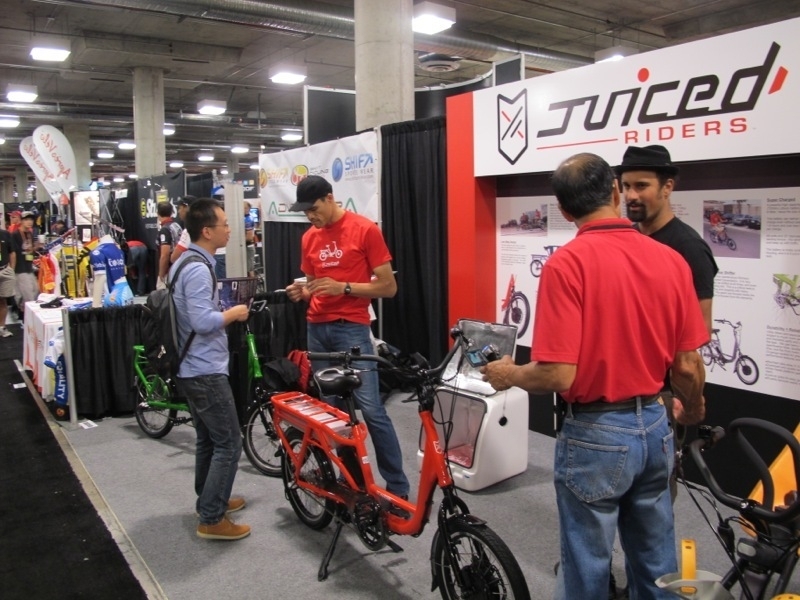 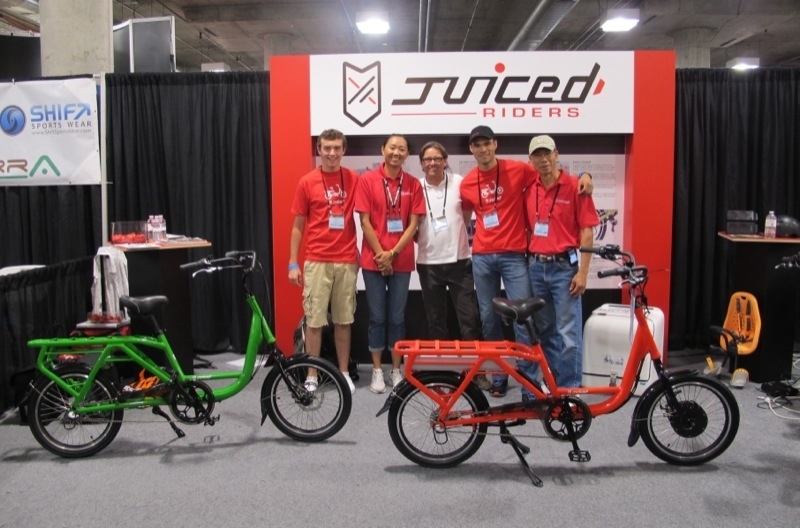 Juiced Riders recently launched their ODK 2.0 electric cargo bike that features 20″ wheels and a low step through frame with multiple cargo accessory options. 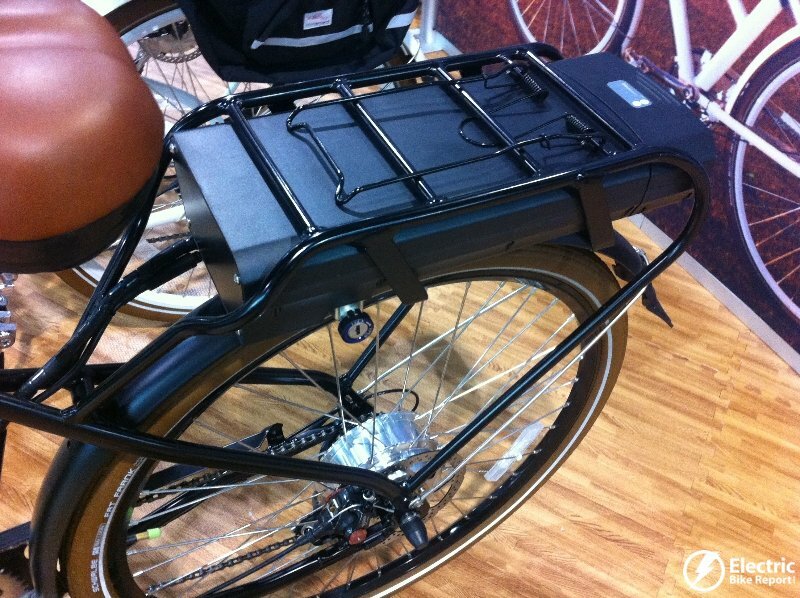 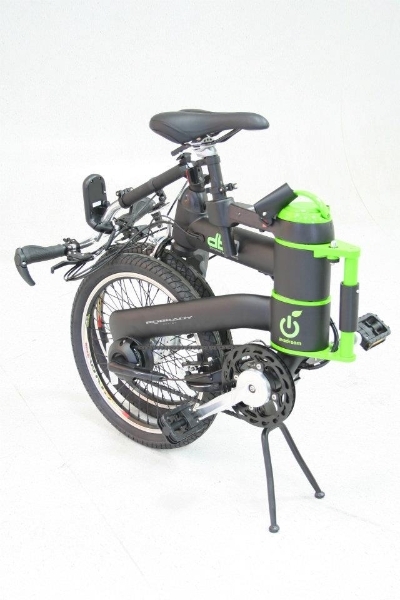 This bike features a large 48V 15ah battery pack that will really help cover long distance cargo hauling. 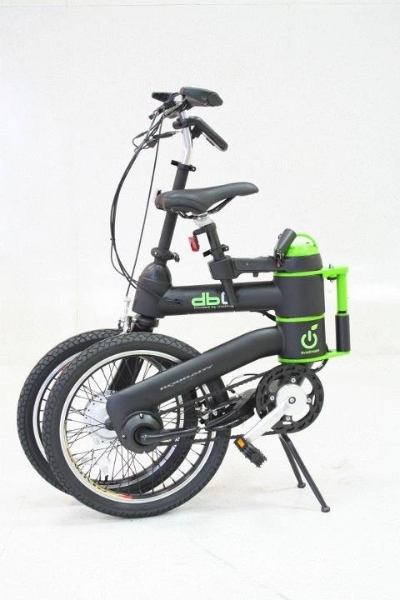 Avadream is a unique looking folding electric bike with the battery housed in the pivot area of the frame! 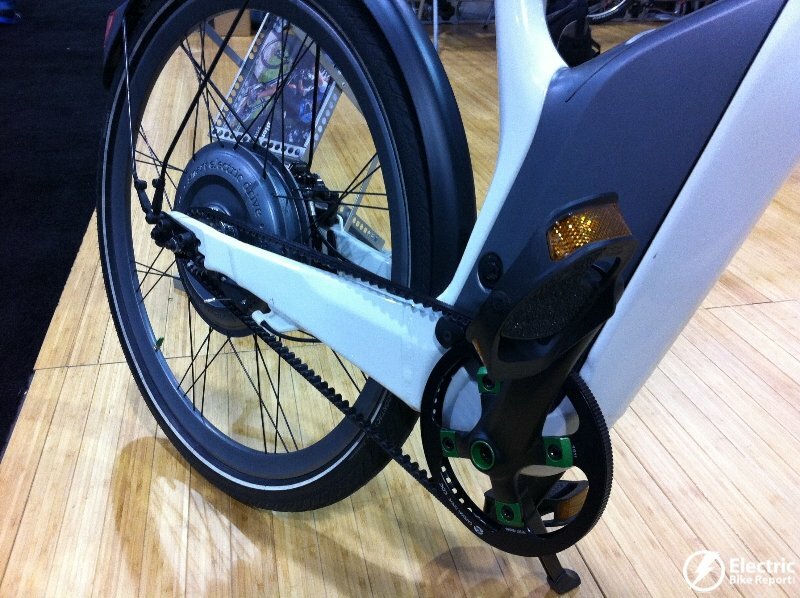 It also has a unique mono “arm” design for both the front and back wheels. 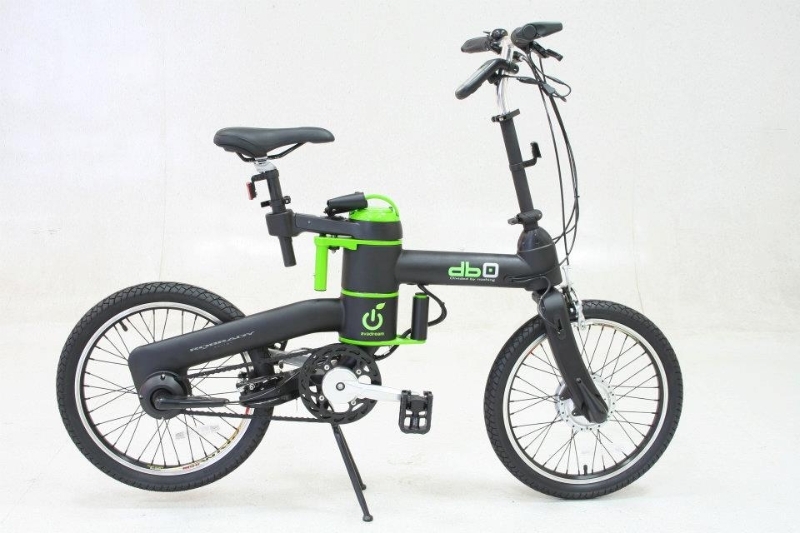 Find out more about their recently released Avadream dbo 3.2A folding electric bike. 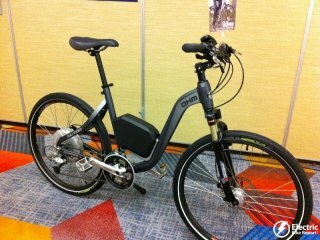 The Smart Electric Bike was on display at the Bionx booth. 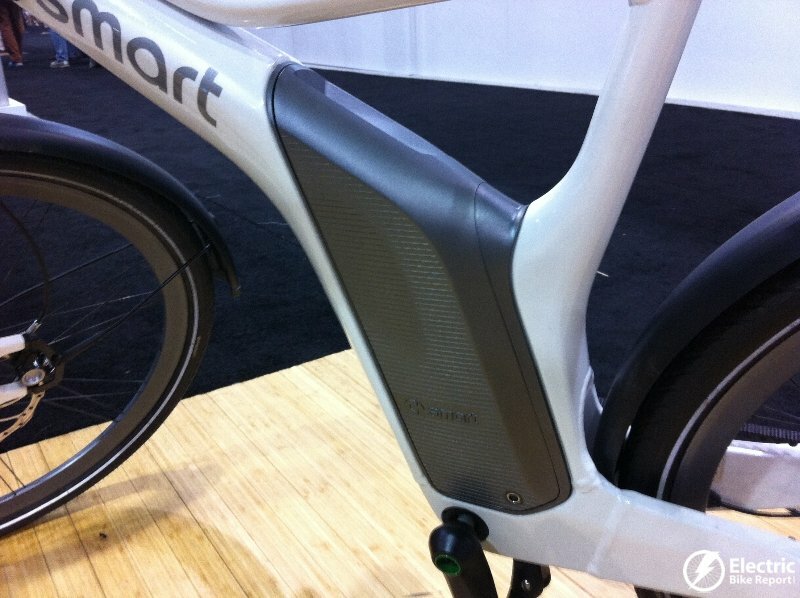 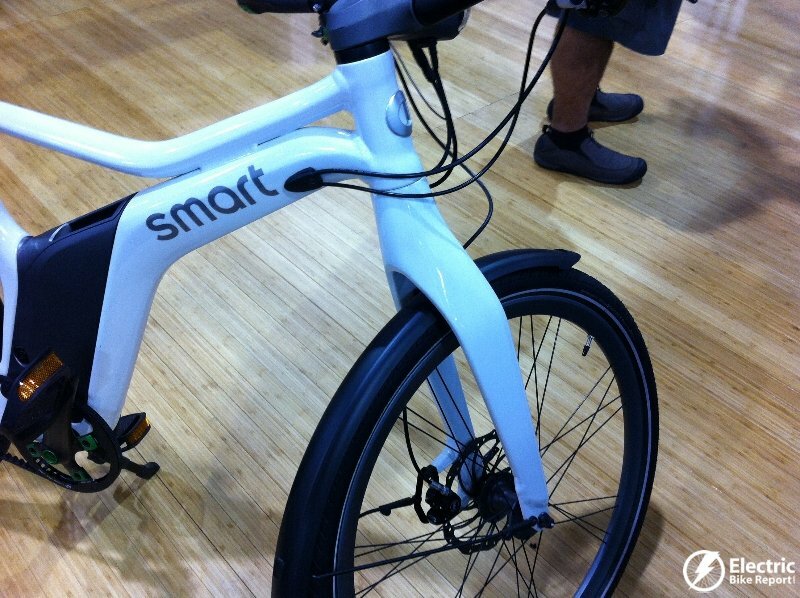 The Smart e-bike has a very futuristic look and component spec. 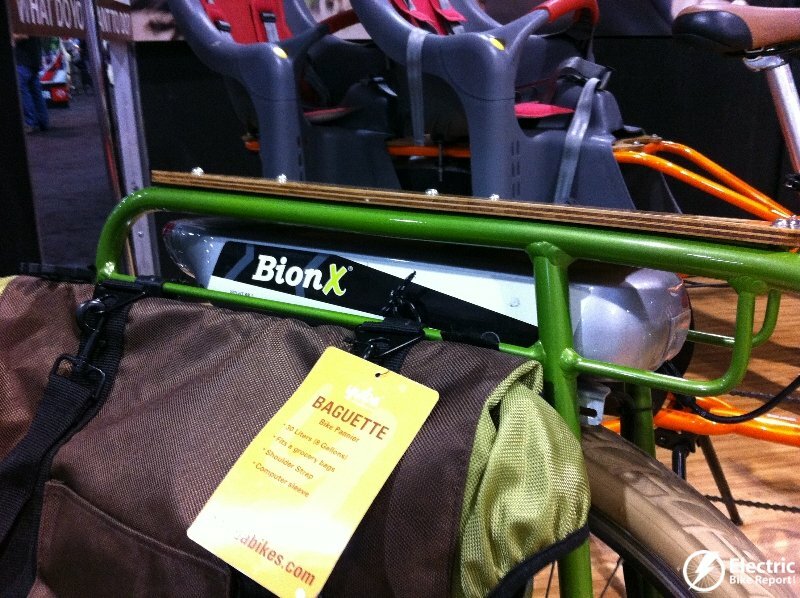 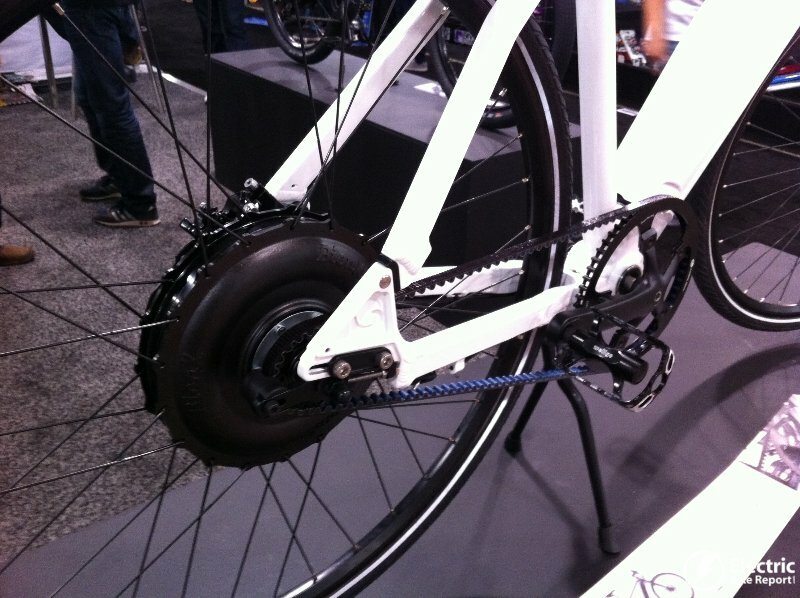 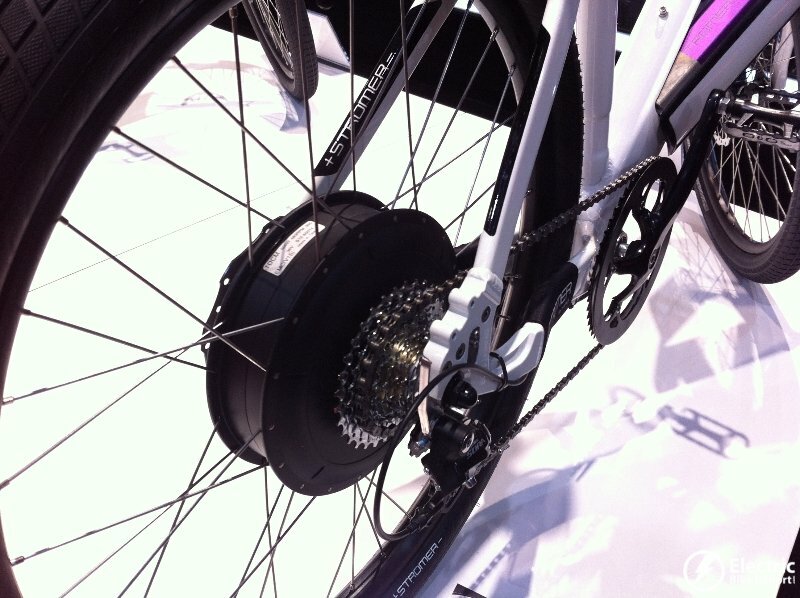 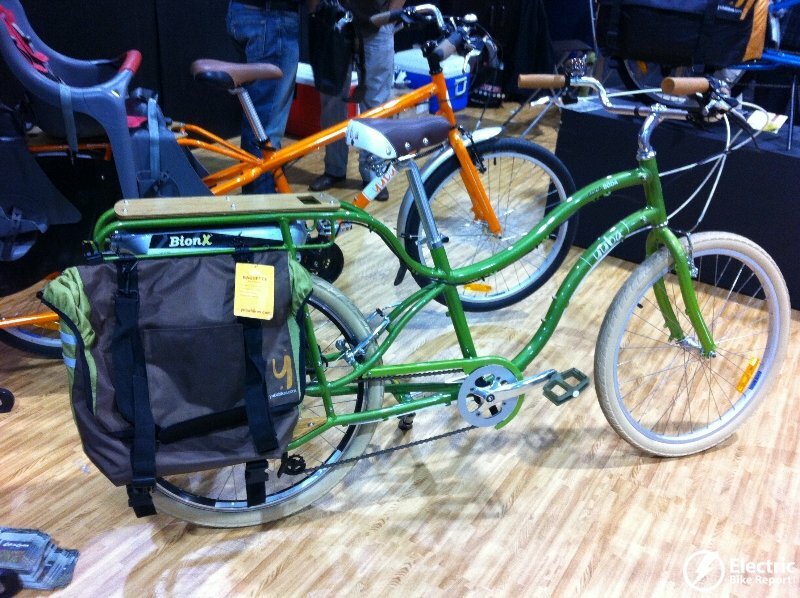 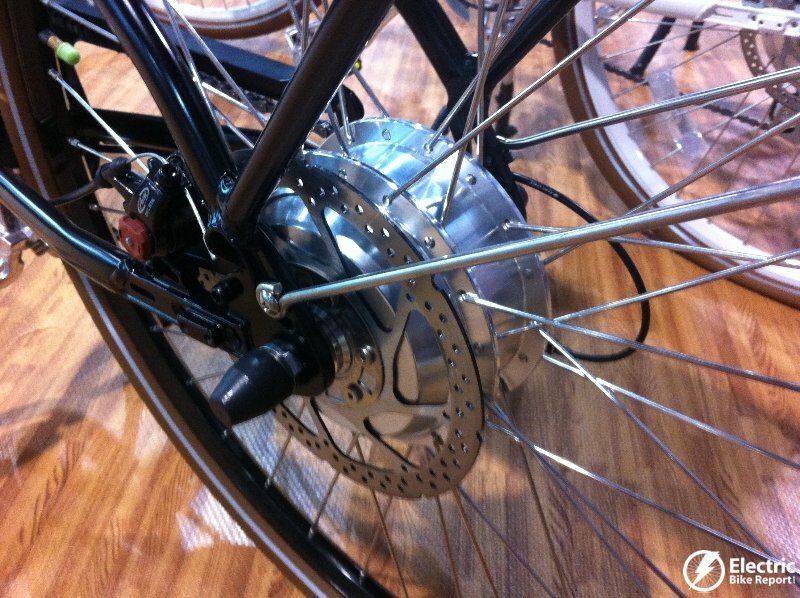 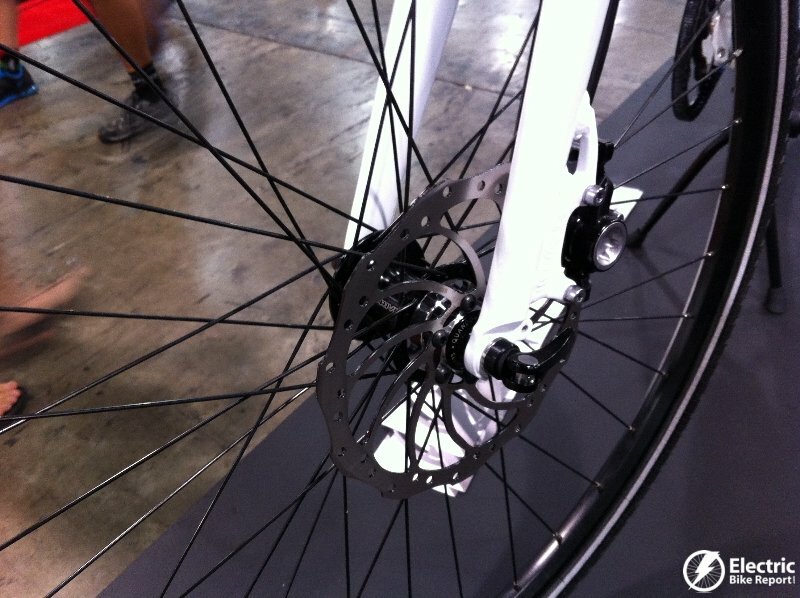 It uses the Bionx motor with a built in 3 speed internal gear hub and Gates belt drive. 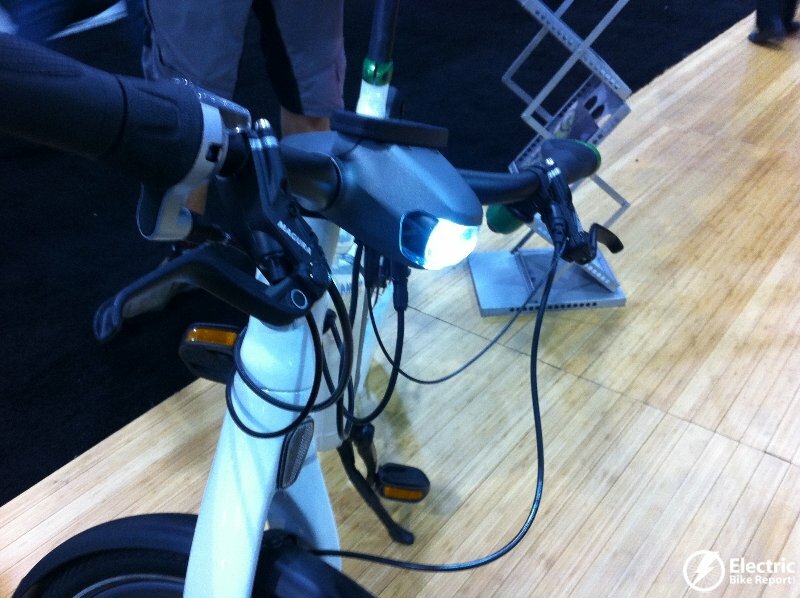 It will be available in North America soon. 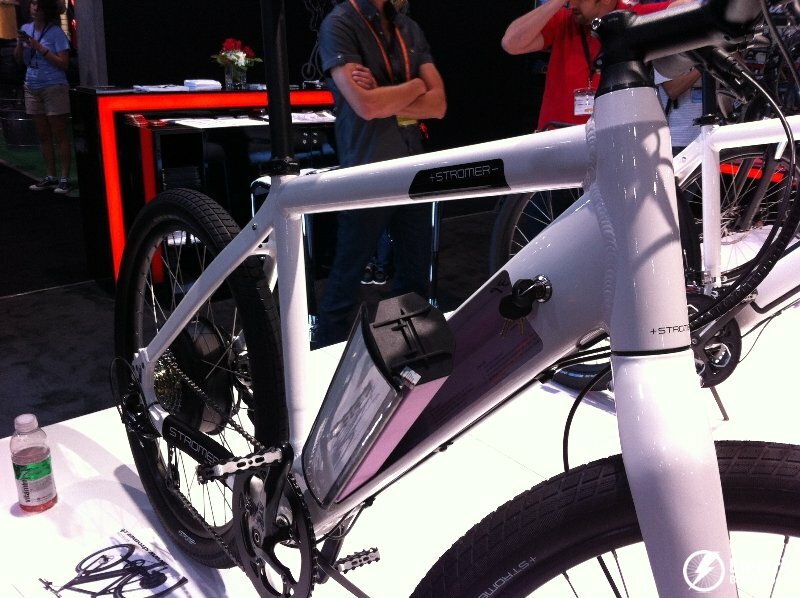 NOTE: The battery is actually a 48 Volt 8.8 amp hour lithium battery. 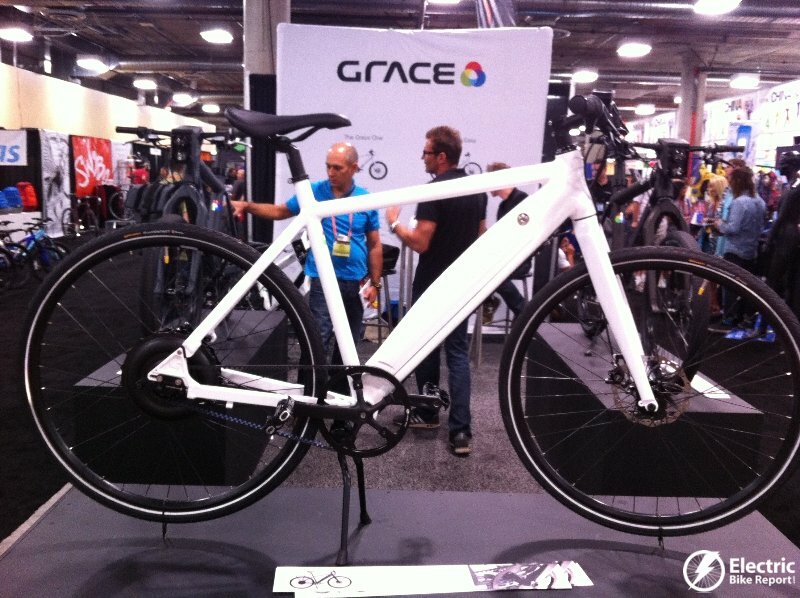 Grace electric bikes from Germany were on display and they will be selling their Grace One and Grace Easy in the US market soon. 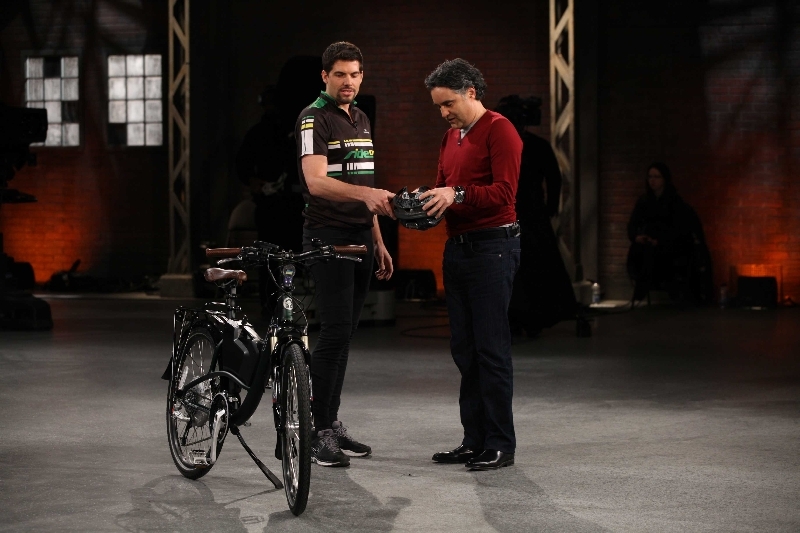 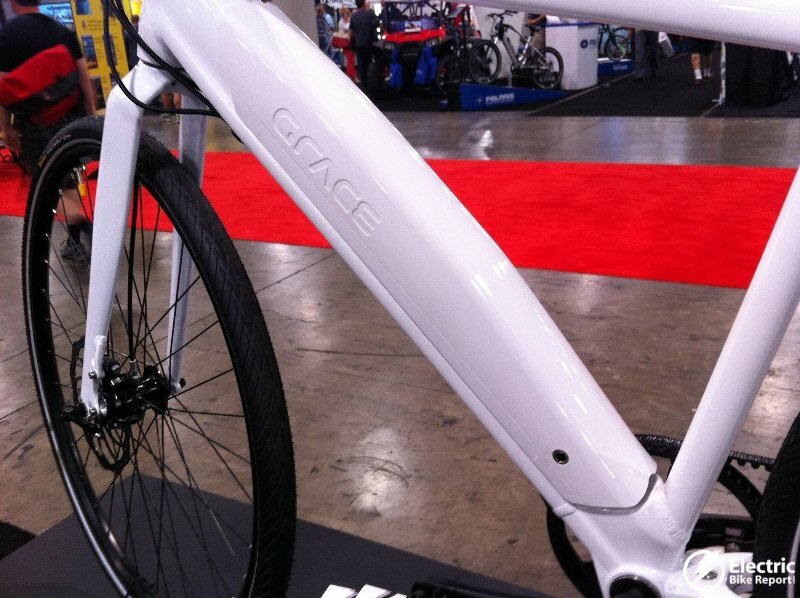 The Grace One is powerful e-bike and the Grace Easy is clean city commuter. 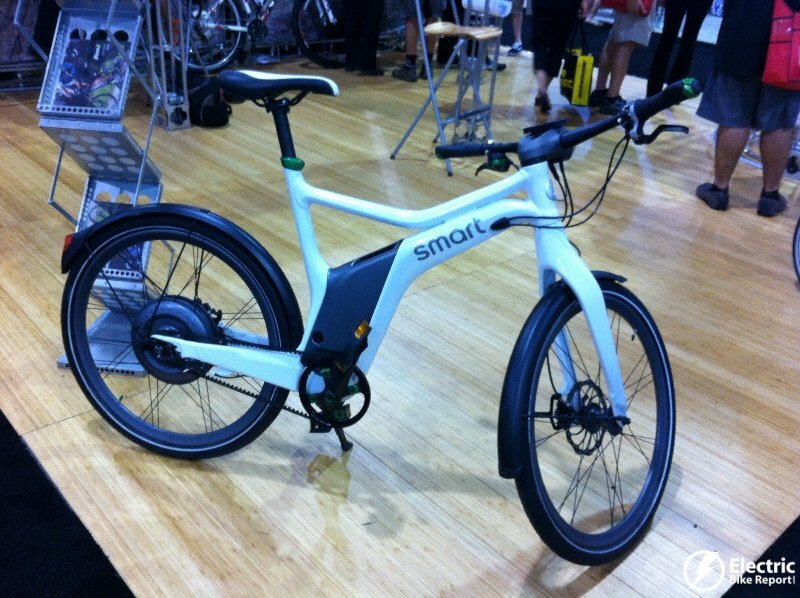 Stromer electric bikes from Switzerland has been in the US market for a few years and for 2013 they will be selling 2 models, the ST1 Elite and ST1 Platinum. 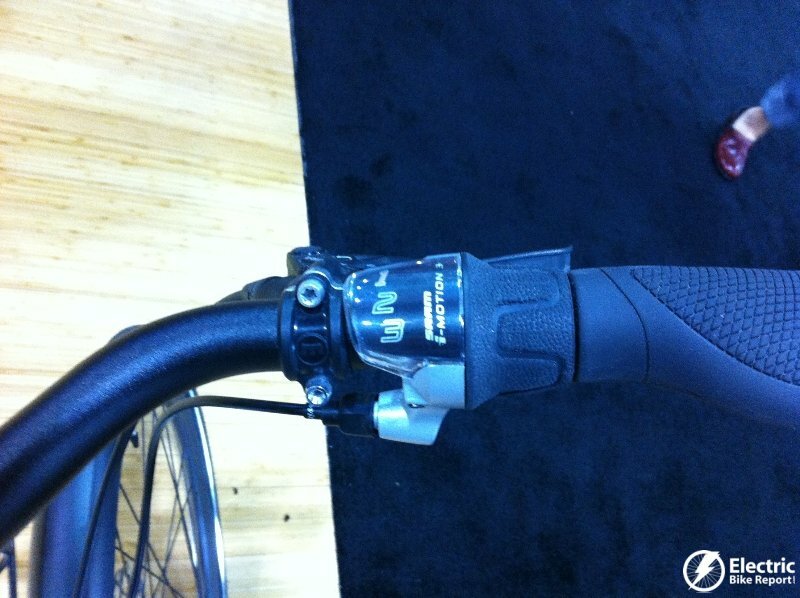 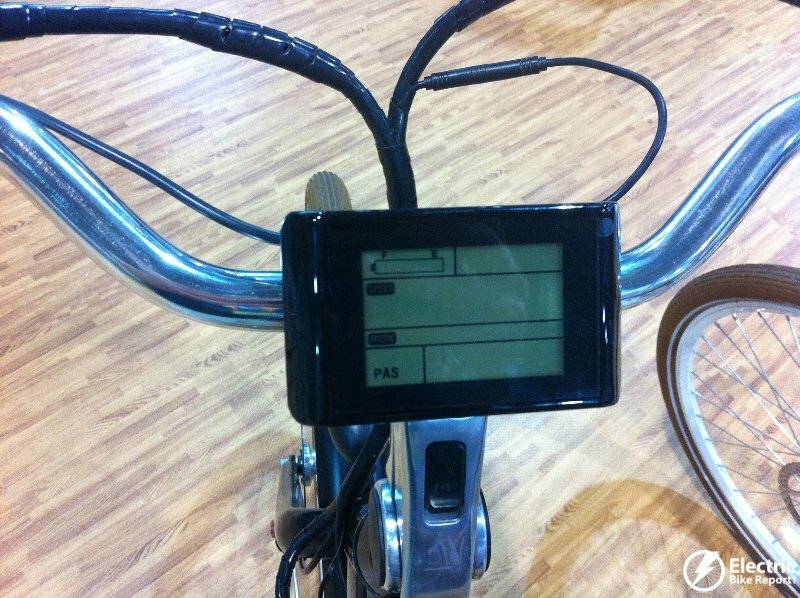 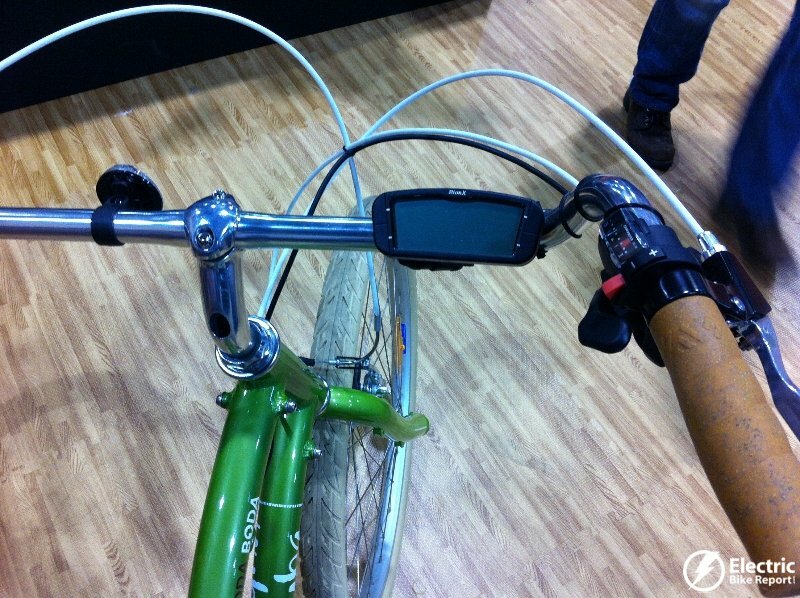 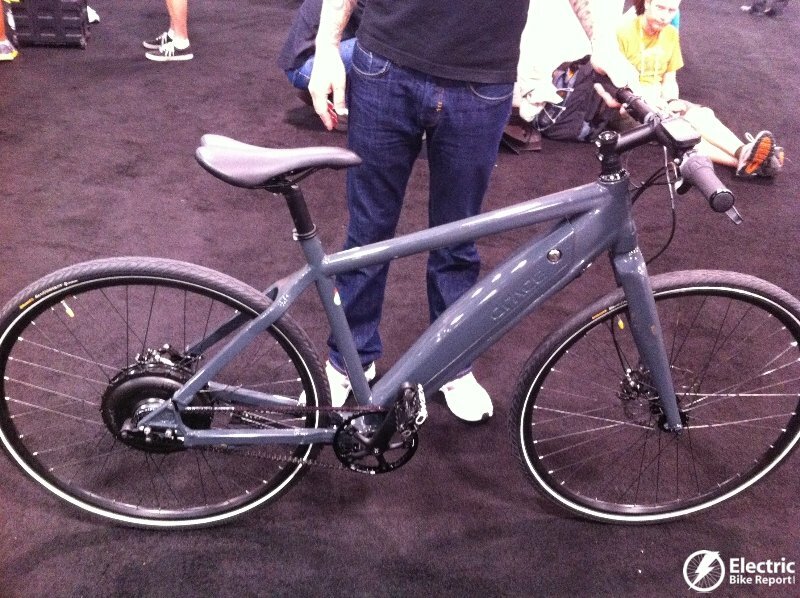 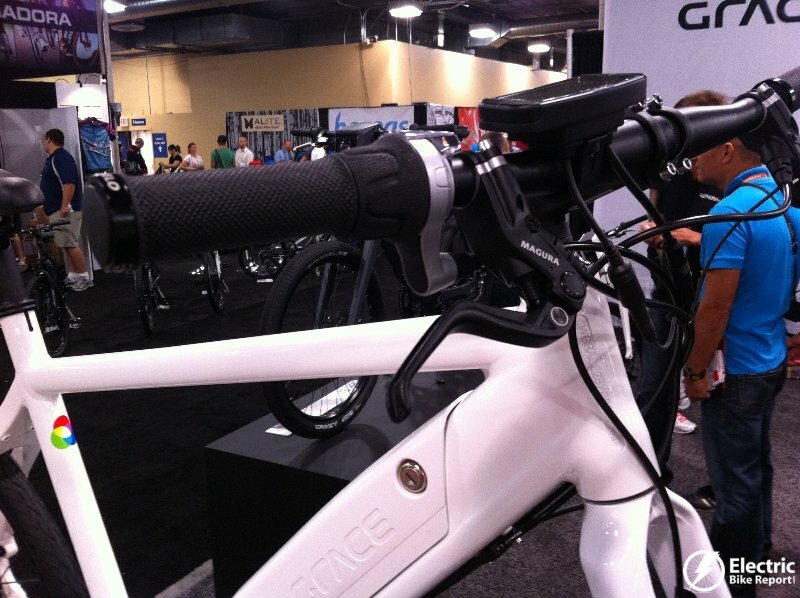 Here is the final part of e-bike coverage at Interbike!